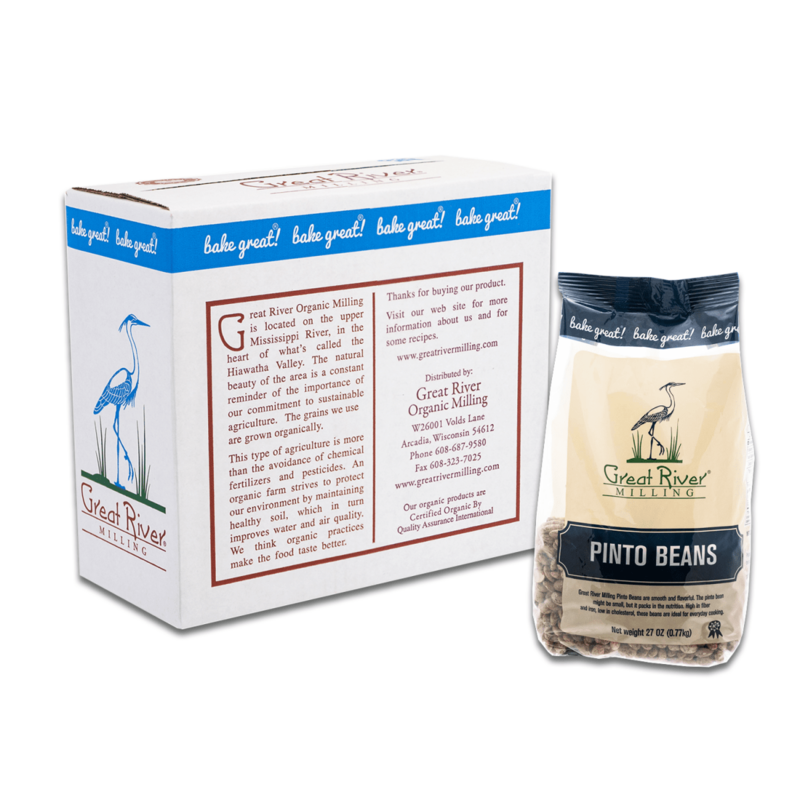 Great River Milling Pinto Beans are smooth and flavorful. The pinto bean might be small, but it packs in the nutrition. High in fiber and iron, low in cholesterol, these beans are ideal for everyday cooking. INSTRUCTIONS: Rinse beans thoroughly. Soak for 6-8 hours. Drain water and rinse beans. Add 3-4 cups of fresh water for every cup of pinto beans. Bring water to boil; reduce heat and simmer for 45 minutes to 1 1/2 hours (until desired tenderness is reached). Stir occasionally. Enjoy!